If you’ve read anything about growth marketing, you’ve probably run across the popular examples. Airbnb drove traffic to its site by building a way for its hosts to cross-post their listings on Craigslist. Dropbox grew its user base by giving existing users free storage for referrals. Hotmail expanded its reach with a footer link advertising the service in every outgoing email. And while these are all excellent examples of ways companies have used growth marketing to acquire new users—and acquire them quickly and exponentially—these examples create a poor picture of what growth marketing is really about. Growth marketing isn’t all about big, quick wins, and it isn’t 100% focused on new user acquisition. To find an exceptional growth marketing example, then, we need to look deeply at how a company uses growth marketing to move the needle throughout the entire customer lifecycle. And when it comes to full-cycle growth marketing, the popular video game Fortnite may be the ultimate example. So to find the best examples of growth marketing, we need to look beyond individual acquisition quick wins. We need to look at how high-growth companies not only acquired their users, but also how they activated them, how they retain them, and how they monetise them over time to increase company revenue. If you look at all of those things, you get a much clearer picture of the brilliant growth marketing methods that Fortnite used to attract more than 200 million users and earn more than $2 billion USD in revenue from a free-to-play game in a little more than a year. Even if you’re not sure what Fortnite is, you’ve probably heard its name or have seen people acting out one of the game’s emotes in public. Fortnite Battle Royale is a wildly popular online video game produced by Epic Games. In the time since it was released in September of 2017, it’s acquired new users in droves. Within two weeks of its release, it had 10 million users. By March of 2018, 45 million. In June of 2018, 125 million. And by November of 2018, the number of registered users exceeded 200 million. But Epic Games has done more than just acquire a massive number of users for its game. It’s also retained those players over time and generated impressive revenues. In August of 2018, the company reported having 78.3 million monthly players. Three months later, Epic announced reaching yet another milestone: 8.3 million concurrent players. In terms of revenue, Nielsen’s SuperData estimates that Fortnite made $2.4 billion USD in 2018. That’s remarkable for a lot of reasons, not least of which that the game is entirely free to download and play. So how did Fortnite achieve such massive growth and success? Let’s take a look. According to the results of a consumer research study conducted by Newzoo, 68% of Fortnite players are aged between 10 and 30 years old. It’s a young audience, and Fortnite does an excellent job of catering to that demographic. First, 10-year olds aren’t exactly known for their disposable incomes. Rather, they have no money of their own and are completely dependent on their parents to buy entertainment for them. But kids don’t need money to download Fortnite: the game is completely free. All you need to play Fortnite is a platform to play the game on—an Xbox One, PlayStation 4, Nintendo Switch, or even just a computer or mobile phone. So when your friend at school introduces you to the game, you don’t have to go home and beg your parents to buy it. You just have to download it to join in on the fun instantly. Word-of-mouth advertising—combined with the relatively low barrier to entry—has been a big part of the game’s massive user acquisition. Another statistic worth mentioning is that 81% of Fortnite’s players watch live-streamed video game content. Fortnite’s makers have been highly supportive of the live-streaming gaming communities, hosting events and tournaments with celebrities and big-name streamers alike. Another report from SuperData shows that of the 700 million hours that people spent viewing live-streamed esports in May of 2018, 574 million of those hours were spent watching Fortnite Battle Royale streams. Fortnite’s audience discovers the game watching their favourite streamers on sites like Twitch and YouTube, as well as through Facebook advertising of popular streamers. They then download the game to play it and encourage their friends at school to play it with them—an easy proposition for their friends to accept given that the game is free. The result: more than 200 million registered users. Fortnite also proves that it knows its audience with the basic elements of the game. All of this makes the game appropriate for a younger audience; it just doesn’t have the gory, hyper-realistic, or violent aspects of shooting games that parents are typically concerned with. And Fortnite isn’t just a shooter. A big part of the game consists of building your fort out of materials you find in-game. This harkens back to many of the popular games that Fortnite’s audience played when they were younger—titles like Minecraft and Terraria. So new users are first compelled to download the game by their favourite streamers and friends. Then, once they start playing the game, they enjoy its similarity to games they remember fondly. But players goals don’t end when they’ve gotten good enough to beat their friends and a few dozen strangers: there’s always a leaderboard to rank up on for bragging rights or a tournament to participate in for the opportunity to turn their hobby into an income. And it’s in that way that Fortnite succeeds in retaining its activated users. It’s one thing to get 200 million people to download your free game. It’s another thing entirely to get nearly half of those users to log in and play every month. But this is another place where Fortnite shines. Fortnite’s premise is unchanging: 100 players are dropped into an arena to battle until only one player or team remains. As time passes, the map shrinks, forcing players into battles. It’s a simple premise, and it’s not even a unique premise in the gaming world. But because you’re dropped in with 99 other random players, the game feels different every time you play. 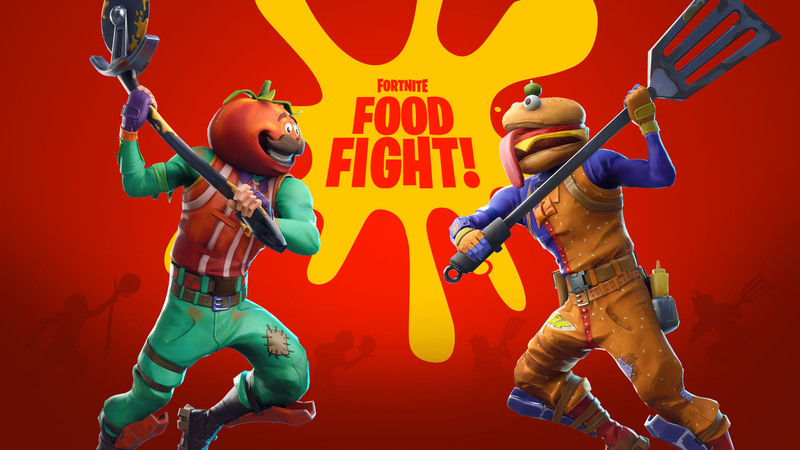 Plus, Fortnite’s makers make frequent changes to the game, adding new “skins” that alter what players look like, releasing new “emotes” that let players communicate with each other silently, making changes to the game’s map and its gameplay mechanics, and more. Fortnite also runs in seasons, with each new season bringing changes to the game and new opportunities for players to climb to the tops of the leaderboards. And frequent tournaments with nine-figure prize pools encourage players to continue playing and perfecting their craft for a chance to turn their skills into cash in their pockets. All in all, Fortnite’s model is a perfect case study in gamification—using competition and prizes to encourage long-term engagement. Finally, to answer the biggest question of all: how does a game that’s completely free to download and play earn more than two billion U.S. dollars in revenue in one year? Players use real money to purchase “V-Bucks,” Fortnite’s in-game currency. They can then use those V-Bucks to purchase cosmetic items like skins and emotes, as well as Premium Battle Passes that provide players with extra challenges and opportunities to earn exclusive rewards. Premium Battle Passes are similar to the DLC-model many games today are using where players pay an additional fee to access more content in a game they’ve already purchased. Beyond that, all of Fortnite’s in-game purchases are cosmetic-only. They don’t impact gameplay. And yet again here, we can see how well Fortnite understands its audience. How? Gamers very much dislike pay-to-win games. They want to earn their bragging rights through hard work and skill, not by simply buying an overpowered weapon and blowing their opponents away easily. And while gamers very much dislike the idea of winning—or losing—a game just by making a purchase, Fortnite’s revenue numbers prove that they really don’t mind spending a few bucks to entertain themselves or their friends with skins and emotes that add some whimsy to gameplay. In fact, a MarketWatch article from late 2018 listed V-Bucks as one of the most popular items on teenagers’ holiday wishlists, alongside iPhones, Gucci and Lululemon clothes, and Vans and Adidas shoes. Even when it comes to monetisation, Fortnite provides an excellent example of exceptional growth marketing. Looking at all of this, it’s obvious that Epic Games has done a tremendous job of marketing Fortnite and building a game that people want to not only play but also continue playing and investing time and money into. But not every business enjoys Fortnite’s mass appeal. Say you’re in charge of marketing a B2B SaaS product targeted at a very small, niche industry. You’ll probably never enjoy the mass popularity of Fornite because your target audience is significantly narrower. Even so, there are things you can learn from Fortnite’s marketing strategies to apply what they’ve done well to your business, regardless of your industry, product, or target audience size. The biggest and most obvious takeaway from the case study of Fortnite’s marketing: know your audience. Know them exceptionally well. Know what they want. Know where they spend their time. Know what they like now and what they’ve liked in the past. Know what makes them laugh and what frustrates them. And most of all, know how your business fits into all of that. How do you gather all of that information? By talking to your customers. It’s that cycle of feedback that’s at the heart of growth marketing, and it’s apparent throughout all of the most popular growth marketing examples. In its early days, PayPal’s team got an email from a customer asking for permission to use the company’s logo in an eBay auction. That email inspired them to conduct a search on eBay for “PayPal,” and they found more than 4 million eBay listings that mentioned PayPal’s service. Recognising the need, the company decided to create a widget that eBay sellers could use to easily advertise PayPal as a way to send payments for completed auctions. This one small change led to rapid growth in the adoption of sellers using PayPal on eBay, as well as growth in the overall number of signups for the tool. Like Fortnite, PayPal and Yelp’s growth stemmed from recognising what their customers needed. The thing that Fortnite, Yelp, PayPal, Airbnb and so many of the most popular and prevalent growth marketing success stories have in common is at least one moment where they stopped to listen and find out what their customers really needed from their products. And the thing that led to extreme, ongoing growth for many of these companies is that they didn’t stop listening after finding that one huge “aha!” moment that drove significant adoption. Instead, like Fortnite, these companies had significant success with growth marketing because they focused on their target audience while building their products to spur growth in the acquisition and activation phases, then they continued to focus on delivering what customers wanted to inspire retention and drive monetisation. And that’s something every marketer can do, with or without a silver-bullet idea.